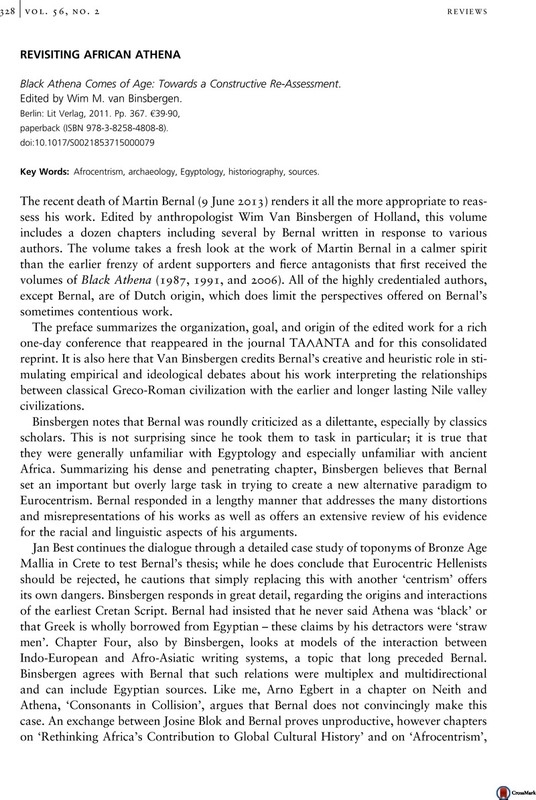 REVISITING AFRICAN ATHENA - Black Athena Comes of Age: Towards a Constructive Re-Assessment. Edited by Wim M. van Binsbergen. Berlin: Lit Verlag, 2011. Pp. 367. €39·90, paperback (ISBN 978-3-8258-4808-8).